This clever piece of furniture is designed to go in small shops, to be converted when needed from a bookcase to a table. 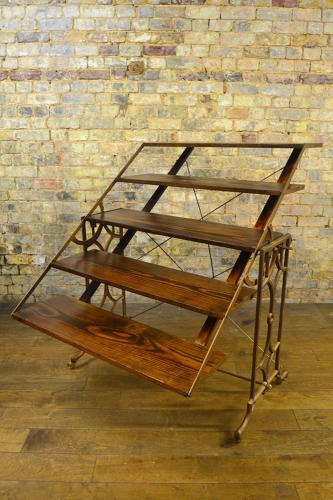 Iron frame with pitch pine shelves and brass casters. When used as a table, the width is 150cm. In addition, the shelves can be straight or at an angle - you'll see this in the images.